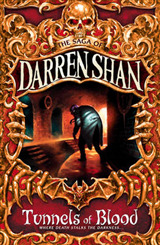 The chilling Saga of Darren Shan, the ordinary schoolboy plunged into the vampire world. Darren goes to a banned freak show with his best mate Steve. 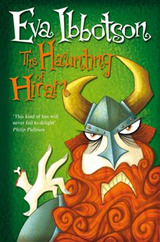 It's the wonderfully gothic Cirque Du Freak where weird, frightening half human/half animals appear who interact terrifyingly with the audience. 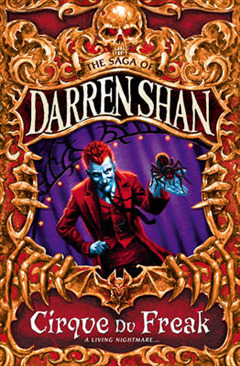 Darren - a spider freak - `falls in love' with Madam Octa - an enormous tarantala owned by Mr Crepsley. 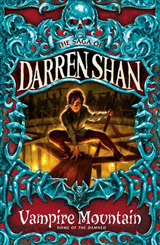 Darren determines to steal the spider so that he can train it to perform amazing deeds. 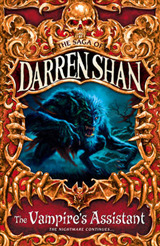 But his daring theft goes horribly wrong and Darren finds himself having to make a bargain with a creature of the night. Something out of the ordinary is set against the background of children's normal lives to chilling effect. 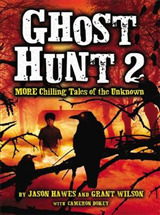 Atmospheric, funny, realistic, moving and... terrifying.